Low crude oil prices since the second half of 2014 have created a boon for consumers as the cost to fill up at the pump has plunged. The extra cash in the pockets of millions of motorists is often likened to an unexpected tax cut, which could help stimulate the economy. Leaving aside the true extent of such a stimulus, which is debatable, there is a flip side to that coin. The collapse in crude oil prices is a huge blow to areas where oil extraction and associated industries are the bread and butter of the economy. As petro-economies suffer from the bust in crude prices, the effects are showing up in the housing market. Now the boom has reversed. The state’s rig count is down to 53 as of January 13, about one-third of the level from one year ago. Drilling is quickly drying up and production is falling. 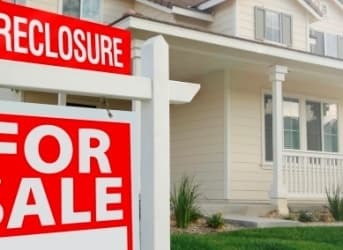 "The jobs are leaving, and if an area gets depopulated, they can't take the houses with them and that's dangerous for the housing market," Ralph DeFranco, senior director of risk analytics and pricing at Arch Mortgage Insurance Company, told CNN Money. New home sales were down by 6.3 percent in North Dakota between January and October of 2015 compared to a year earlier. Housing prices have not crashed yet, but there tends to be a bit of a lag with housing prices. JP Ackerman of HouseCanary says that it typically takes 15 to 24 months before house prices start to show the negative effects of an oil downturn. There are some other states that are also at risk of a hit to their housing markets, including Wyoming, West Virginia and Alaska. Out of those three, only Alaska is a significant oil producer, but it is in the midst of a budget crisis because of the twin threats of falling production and rock bottom prices. Alaska’s oil fields are mature, and have been in decline for years. With a massive hole blown through the state’s budget, the Governor has floated the idea of instituting an income tax, a once unthinkable idea. The downturn in Wyoming and West Virginia has more to do with the collapse in natural gas prices, which continues to hollow out their coal industries. Coal prices have plummeted in recent years, and coal production is now at its lowest level since the Reagan administration. Shale gas production, particularly in West Virginia, partially offsets the decline, but won’t be enough to come to the state’s rescue. After 41 consecutive months of increases in house prices in Houston, prices started to decline in third quarter of 2015. In Odessa, TX, near the Permian Basin, home sales declined by 10.6 percent between January and October 2015 compared to a year earlier. Most Americans will still welcome low prices at the pump. But in the oil boom towns of yesterday, the slowdown is very much being felt.